Yo, thanks for arriving to support SP(R)P303, of Boulder/ Denver/Englewood/Lakewood, CO area. "A Crazy, Intriguing Concoction of loop, sample, beat, boomy, bappy, yummy drummy orchestrated madness.. meshed with bendy, out of this world synth performances and beyond. With a love for Freestyle, Electro Sounds, Dust Brothers, Turntablism, Electronica, Edm, Break Beat, Trip hop, Hip Hop, Beastie Boys albums, Run DMC, classic Hip Hop sounds.. SPRP303 comes out swinging with a unique originality that puts a spell on your ears and makes your body wanna do 3 dance moves at once while trying to walk a tight rope across a pit of alligators on acid playing bongos and synths while you flawlessly dance across the wire to the music of SPRP303." Cid Barrott of EXTREMELY INDIE UNDEGROUND DIY DOPE "We Signed SPRP303..because they're out of this world and because, well, nobody else will" AB4FAL Records of Denver, CO. SPRP303 Established 2017 after Peace Pig Astronomy's direction was altered.. from less guitar and more samples, loops, synths, e d m, electronica, trip hop, break beat...and etc influences... SPRP/303 is/was/is the Hand Bros Inc. Lefty- Synth, Synth Bass, Synth Solos, Synth Fun, Drum loop/Samp layerings Righty- Cuts/Scratch Sound, Sample Loop manipulations, USING primitive Wav form COPYPASTE method NO SAMPLERS WERE USED. 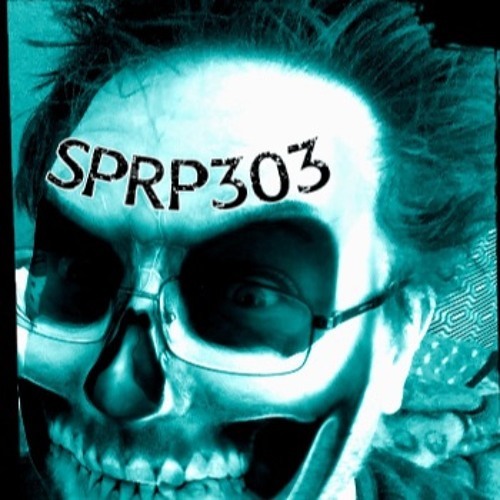 SP(R)P303 does a profound mostly instrumental blend of sounds influenced'n'inspired by Classical Chamber music, Disco, Industrial, Psychedelic, EDM, Dance, Electronica, Electronic, Trip Hop, Turntablism, trance, chill, lofi, punk, industrial, hifi, wicked fi, Glitch, Electro Sounds, Hip Hop, Synth Prog, Break Beat, Dubstep, Electro, Funk influences & elements. With many Influences and sound digs including: Beck, Dust Brothers, Chemical Brothers, BJORK, Pink Floyd, LCD Soundsystem, Bassnectar, Skrillex, DeadmauS, Danger Mouse, Chroma Key, Fat Boy Slim, OSI, Davy DMX, Bombfunk Mc's, Babe Ruth, Blondie, Grand Master Flash, Herbie Hancock, MF Doom, Dave Brubeck, Beegees, Beach Boys, Hooverphonic, Blue States, 28 Days soundtrack, Nerve soundtrack, wrathbliss, Peace Pig Astronomy, SugarCubes, Sepalot, Alien Army, Unkle, Balkan Beat Box, Primal Scream, Overseer, Closed Caption, Jai-Muzik, Chinese Man, The Swell, DJ Koala, Bomb DJs, DJ Craze, DJ Phonograph, Die Krupps, Renegade Soundwave, Afrika Bambaata and the Soul Sonic Force, Herbie Hancock, Run the Jewels, Windchill, De La Soul, Killer Mike, The Pharcyde, Queen, EL-P, DJ Premier, DJ Yoda, DJ Punk Roc, Prefuse 73, Evil Nine-They Live, Raaka, Depeche Mode, Phantogram, Junkie XL, KMFDM, NIN, Buckethead, Zappa, Run the Jewels, Muse, Prince, Portishead, Radiohead, Porcupine Tree, Tipper, Pink Floyd, Cake, Gorillaz, Gramatik, Roc Raida, X-Ecutioners, The Beatles, ATCQ, RATM, Run DMC, NWA, 3rd Bass, Sneaker Pimps, classic Kanye West, Beastie Boys, Peace Pig Astronomy/PPA, MGMT, Phish, Senser, RHCP, Dirty Vegas, the Closed Captioned 1997, s.P.(R)P. (R) equals Are..cause SPAP just didn't sound as good...lol SPRP can also stand for: a k a Some People(R)PIONEERS SOME PEOPLE(R)PSYCHOTIC SOME PEOPLE(R)PLASTIC SOME PEOPLE(R)POPULAR SOME PEOPLE(R)PLEASANT SOME PEOPLE(R)PRIMITIVE SOME PEOPLE(R)PEACEFUL SOME PEOPLE(R)POSITIVE SOME PEOPLE(R)PESSIMISTIC SOME PEOPLE(R)PRICKS SOME PEOPLE(R)PAWNS SOME PEOPLE(R)POWERFUL SOME PEOPLE(R)PRAGMATIC SOME PEOPLE(R)PERSONABLE SOME PEOPLE(R)PARASITES SOME PEOPLE(R)PRAISED SOME PEOPLE(R)PERSECUTED SOME PEOPLE(R)PECULIAR SOME PEOPLE(R)PATRIOTS SOME PEOPLE(R)PRETENTIOUS SOME PEOPLE(R)PHENOMENAL SOME PRESIDENTS(R)PUPPETS SOME POLITICIANS(R)PAWNS SOME PERPS(R)PERVS SOME PYSCHOPATHS(R)POLITICIANS AND ON AND ON s.P(R)P 303 Music for the Journey through Provocatively...Poignant Times. All SPRP303 music is owned and the property of WrathBliss TDM Rose Ventures ASCAP 2017-2018 Copyright. All Rights Reserved.